As a second-generation chiropractor, Dr. Van Slooten has a genuine passion to touch lives through the drugless, non-surgical approach chiropractic care offers. He witnessed his father's love for chiropractic make a historic impact on thousands in the Salt Lake Valley over the course of 36 years (see "History"). Thus, he carries a tremendous sense of joy and pride in continuing the tradition of great care that the Holladay Chiropractic Center offers to practice members who routinely come from the Salt Lake valley, and surrounding areas as far Tooele, Grantsville, Cedar City and St. George. 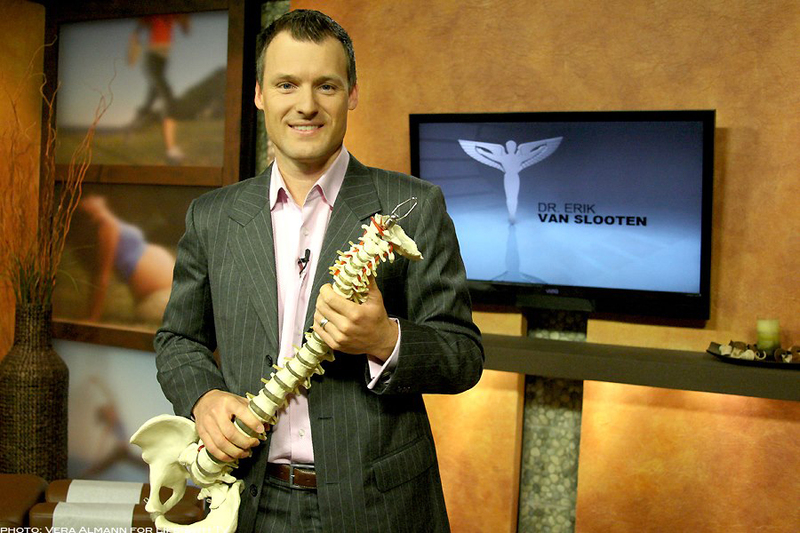 Dr. Van Slooten is well-recognized as a spokesperson for the chiropractic profession and has worked with colleagues around the world to advance efforts in public education. He has spoken at numerous conventions in the United States and internationally in Mexico, Peru and Australia. Dr. Van Slooten's love for service has also brought him on several chiropractic mission trips to El Salvador. As a proud alumni of LifeWest, he is as an ambassador for the "Champions for Life" program, which provides opportunities for highschool and college students to learn more about pursuing a career in chiropractic. If you have any questions about our Salt Lake City chiropractor, or would like to learn more about chiropractic care at Holladay Chiropractic, please call us at 801-486-9201 today!